White Egret Vitamin C Hyaluronic Acid | Vitamin World is formulated with Vitamin C and sea minerals to hydrate and firm the skin's surface. 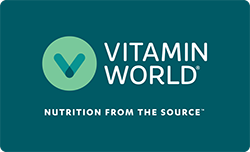 Discover it now at Vitamin World! Vitamin C Hyaluronic Acid contains over 72 ionic sea minerals to firm, exfoliate, brighten and protect skin. Formulated with Vitamin C and sea minerals to hydrate and firm the skin's surface and beautify the skin. Apply over face and neck in the morning before applying makeup. Apply in upward motion until cream is absorbed into the skin. GMO-free, paraben-free, gluten-free, sulfate-free, cruelty-free, and 100% vegan. Directions: Apply Vitamin C Hyaluronic Acid over face and neck in the morning before applying makeup. Apply in an upward circular motion until absorbed into the skin. Formulated with Vitamin C and sea minerals from ConcenTrace to hydrate and firm the skin's surface and beautify the skin. Ingredients: Water (Aqua), Sodium Ascorbyl Phosphate (Vitamin C), Capric/Caprylic Triglyceride, Carthamus Tincotrius (Safflower) Oil, Cetyl Alcohol, Glycerin, Stearyl Alcohol, ConcenTrace Mineral Complex Blend, Xanthan Gum, Panthenol, Allantoin, Cetearyl Glucoside, Glyceryl Stearate, Glyceryl Stearate SE, Glyceryl Stearate Citrate, Tocopheryl Acetate (Vitamin E), Sodium Hyaluronate, Aloe Barbadensis Leaf Extract, Retinyl Palmitate (Vitamin A) Potassium Sorbate, Caramel, Phenoxyethanol, Ethylexylglycerin, Citrus Aurantifolia (Lime) Oil. Vitamin C Hyaluronic Acid is rated 5.0 out of 5 by 3. Rated 5 out of 5 by Anonymous from Very good This product suits my needs for facial care. Rated 5 out of 5 by Sparky from Its a good product I am satisfied with it as a day product as it is light but I need a more substantial product for night.